1 Oceanographic Institute at the University of São Paulo (IO-USP), Praça do Oceanográfico 191, São Paulo, SP 05508-120, Brazil. 2 Antarctic Climate and Ecosystems Cooperative Research Centre, University of Tasmania, and CSIRO Oceans and Atmosphere Flagship, Hobart 7001, Australia. 3 Institute for Marine and Antarctic Studies (IMAS), Private Bag 129, Hobart TAS 7001, Australia. The change in surface seawater carbonate speciation due to the invasion of anthropogenic carbon dioxide (ocean acidification) is projected to be most severe in the high latitude waters such as the Southern Ocean. Ocean acidification concomitantly occurs with other climate change induced alterations of the marine ecosystem such as decreased nutrient supply in the upper mixed layer due to increased surface stratification. 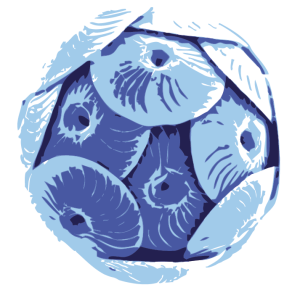 Coccolithophores are an important phytoplankton group, responsible for the majority of pelagic calcium carbonate production in the world´s oceans and their distribution ranges from tropic to polar waters. Emiliania huxleyi is the numerically most abundant coccolithophore species and appears in several ecotypes of which two are commonly observed in the Southern Ocean. Here, we compare the response to changing seawater carbonate speciation of two E. huxleyi ecotypes (A and B/C) that were either cultured under nutrient limited (chemostat) or replete conditions (batch culture). Experiments were conducted under equivalent conditions (temperature of 14oC and continuous light of 110 µmol photons m−2 s−1) which facilitated direct comparison of the results. The physiological response was measured in terms of photosynthesis, calcification, cellular geometry and stoichiometry. The relative effects on coccolithophore physiology induced by changing carbonate speciation were similar under nutrient replete and substrate (nitrogen and phosphorus) limited conditions. However, at certain pCO2 thresholds, nitrogen limitation and high pCO2 induced cessation of calcification in both tested ecotypes with B/C being more sensitive. The presented results indicate the distinct differences between E. huxleyi Southern Ocean ecotypes and are an important contribution to understand the mechanistic response to multiple environmental stressors.